It’s spring, so it’s detox season. Drugstores are filled with pills and potions you can buy to ‘detox’ your body to get ready for warmer weather. But today I’m suggesting you go foraging for a completely free, nutritious “spring tonic”… nettles. Ok, “foraging” sounds scary. Or cheap. Or too crunchy-earth-mother. I know. But don’t leave yet! We’re here to rediscover and test vintage lifestyle tips. And back in the days before a Super Target was in every town, people used the resources around them: things growing in their gardens, and things they found wild in the environment! Nettles are an old standby in traditional medicine – and we can still use them today as a tasty herbal brew. Why Nettles? Nettles are high in vitamins and minerals, including iron. They are traditionally a blood cleanser, spring tonic and mild diuretic. And according to my Bartram’s Encyclopedia of Herbal Medicine, they are useful for “women desiring an ample bust.” I wish that were actually true, but so far, my own experience seems to disprove that theory. 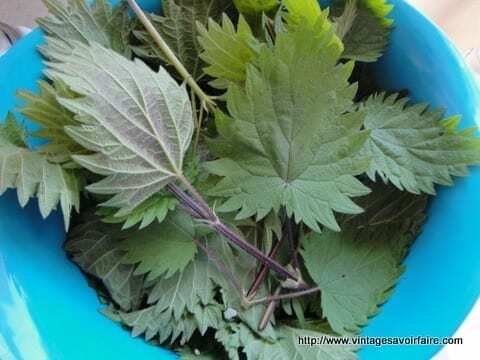 How to Pick Nettles? You only want to pick the young nettle leaves, so springtime is the best time for nettle foraging. Be sure to wear gloves to avoid some painful stings. Only pick the nettles when they’re below knee-height, and then just take the flowering tops, with the smallest leaves. Just cut off the top of the nettle, stem and all. Take them home, rinse them off (if you want), and then you’re ready to dry them, make tea, or cook them for eating like spinach. I live in the city, and found nettles growing in my small backyard. When urban foraging, try to avoid plants that are on a main road, since they’ll probably have nasty car/street chemicals on them. Also, it’s a good idea to pick plants taller than ‘dog height’ or in an area where dogs aren’t allowed. Try around the perimeter of parks and open spaces or even in your back yard. All you need to make a nettle infusion (“tea”) is fresh or dried nettles, boiling water, and a covered container. For one teapot of nettle infusion, put a handful nettle leaves (on the stems is fine) in your container and fill with boiling water. Cover the container. Let steep for 10 minutes. 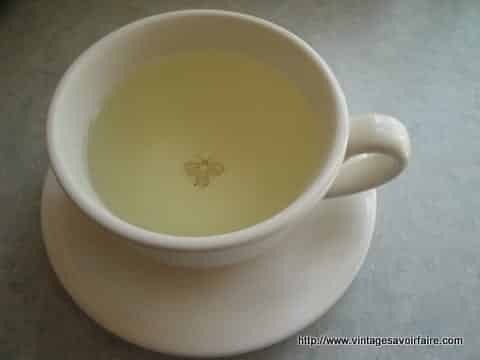 Strain into a cup and drink. You can drink as much as you want. For a spring detox, Bartram’s suggests drinking a cup of infusion 3 times daily. Remember: The important part of foraging is correct plant identification! Nettles are pretty easy since they have a memorable sting, but a good wildflower book is essential. It’s also reassuring to ask a friend with a green thumb who knows local plants. Once you’re familiar with a few key plants in your area, you’ll be able to go out foraging on your own with confidence. Finally, I’m not a doctor, so all of my suggestions are based on traditional usage of these plants. If you have any questions or concerns, speak with your doctor or a qualified herbalist. Have you ever foraged for wild food? Let us know in the comments. 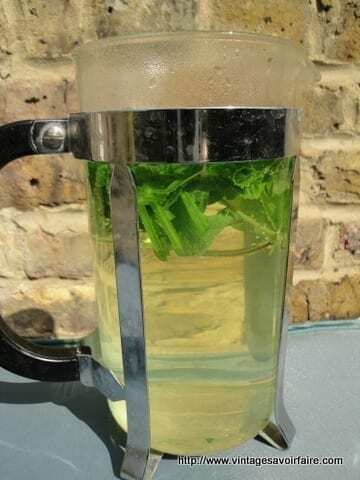 Another nice one for spring detox is two mint leaves in warm or hot water every night before bed. It helps the liver to detox, calms the stomach, and opens up our breathing.